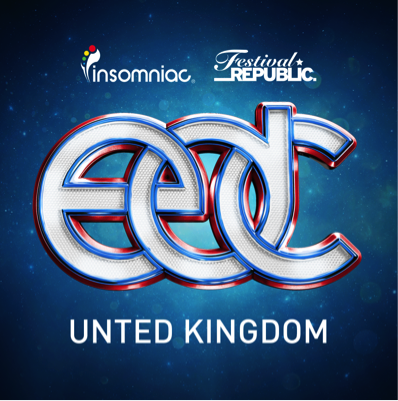 As anticipation builds for summer 2016, Insomniac and Festival Republic announce the first wave of top tier acts set to perform at Electric Daisy Carnival (EDC) UK 2016. Tickets are on sale now for the fourth edition of the massive dance music festival, taking place at Milton Keynes Bowl on Saturday 9 July 2016. Avicii will make his highly anticipated return to the UK for his first show since the release of ‘Stories’, which hit No. 1 on Billboard’s Dance and Electronic Albums chart in October 2015. Taking dance production to new heights, the wait will be well worth it to see Avicii take over the massive kineticFIELD stage at EDC UK next year. EDC UK attendees can expect the full force of Swedish duo, Axwell ^ Ingrosso to hit the Bowl for an unforgettable night. The duo’s performance will mark their first at EDC UK, and an exciting journey back to the country after their sold-out show at Alexandra Palace earlier this year. Stay tuned in the coming months for the full list of artists set to perform next year. Now in its fourth year, EDC UK has firmly positioned itself as one of the biggest dance music festivals to take place in 2016. Insomniac’s innovative art installations, signature mind-blowing stage designs, exhilarating carnival rides, costumed performers, and dozens of massive artists will all head back to Milton Keynes bowl, making EDC UK 2016 an unmissable event. Make the most of EDC UK with next year’s VIP area, offering a plethora of exclusive attractions. VIP ticket holders will have unprecedented access to the VIP Village as well as exclusive fast track entry, a cocktail and champagne bar, and a private pamper parlour.